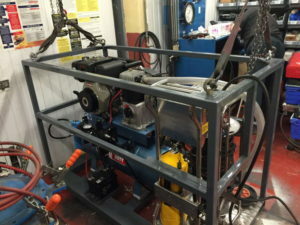 2 x 9 Litre 300 bar cylinder trolley. 4 x 9 Litre 300 bar cylinder trolley. 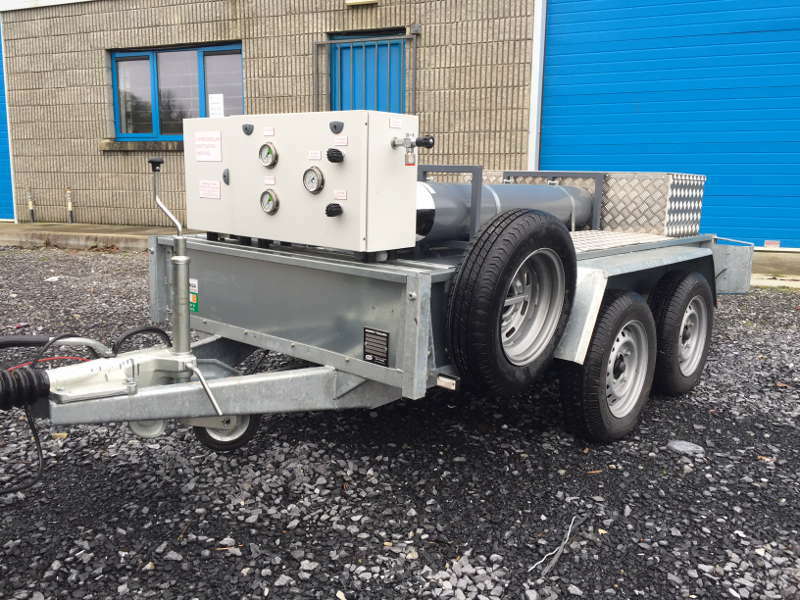 1 x 60 Litre 300 bar cylinder trolley. 2 x 60 Litre 300 bar cylinder trolley. 4 x 89 Litre air bank in vertical steel or horizontal frame. 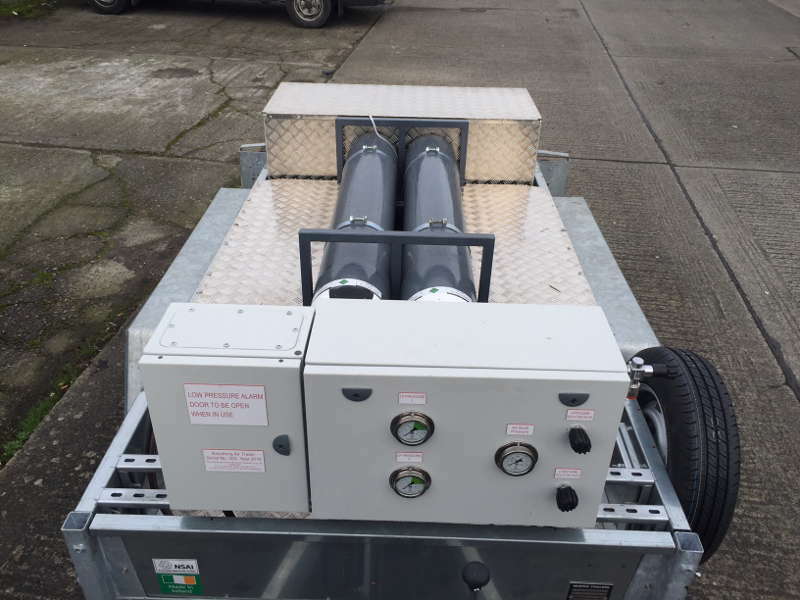 Our range of long duration breathing air cylinder sets provides an economical solution for all your mobile breathing air requirements. 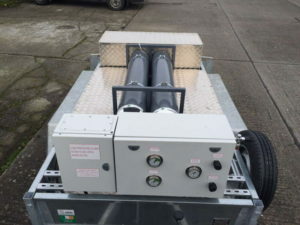 Consists of 4 x 89 Litres cylinders at 300 bar with a total capacity of 106,800 Litres which is the equivalent to 333 man hours and a reserve of 8,500 Litres with 2.8 man hours. 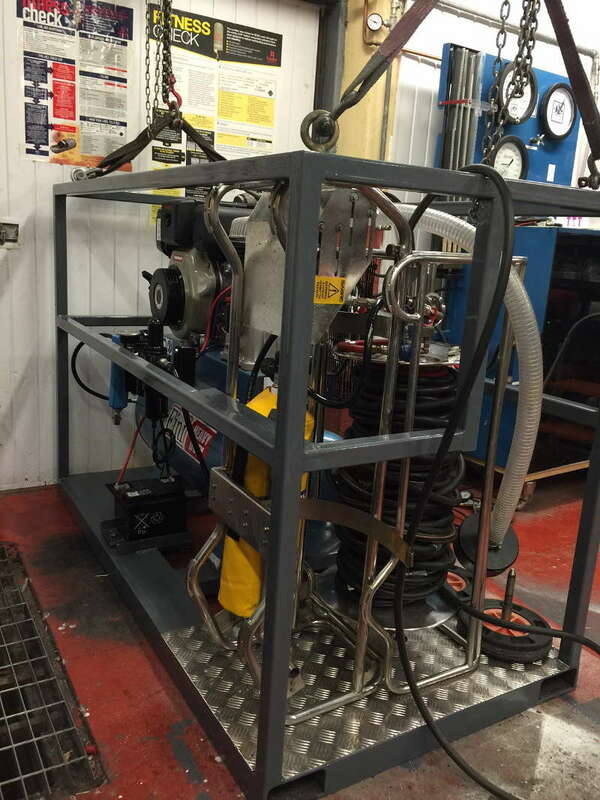 The pneumatic control system consists of a single charging point to fill all cylinders together if required. 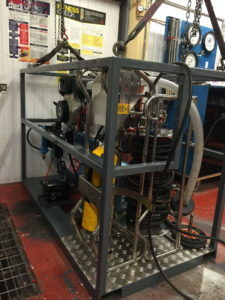 Two high pressure regulators, a high pressure and low pressure safety valve, a charging pressure gauge, a high pressure contents gauge and a low pressure gauge showing the pressure to breathing air masks. There is also a low pressure whistle alarm and a Sabre DS4 intrinsically safe low pressure visual monitor and an audible alarm unit which is all housed in a steel box to EN 139 and BS 54275 standards. 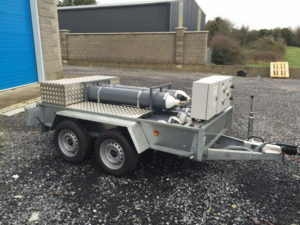 The trailer is EU approved with a twin axle unit with brakes with a two tonne capacity. Two boxes 1 foot x1 foot x 6 feet long which is built of aluminium chequered plates. Enclosed in the boxes is two 30 metre breathing air hose reels. 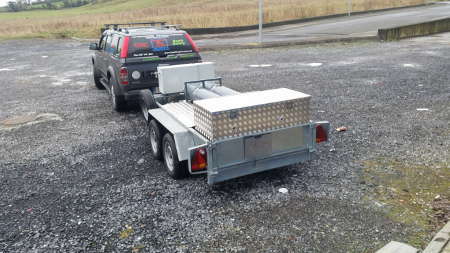 It can also hold two Sabre flight sets and spare equipment. 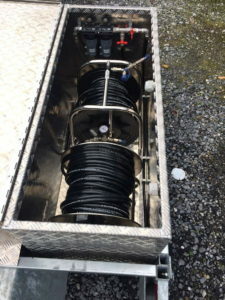 In one of the storage boxes is a set of breathing air filters that feeds both hose reels. 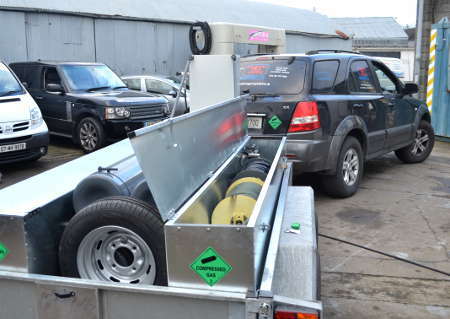 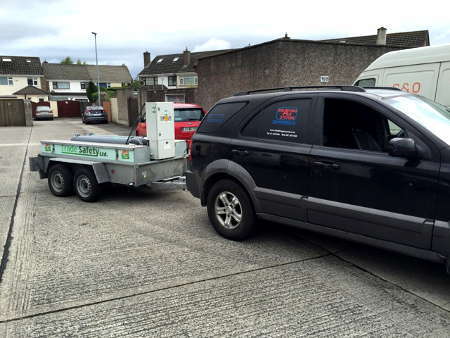 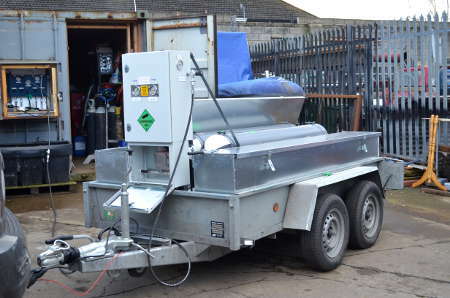 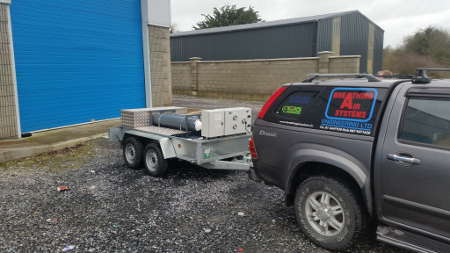 The total weight of the trailer with all equipment and a full cylinder is one tonne.